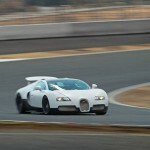 Bugatti Veyron Convertible Experience! - Muscle Cars Zone! 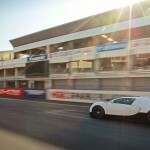 Seeing a Veyron is something that does not happen often. Actually, it seems to be impossible unless you own one or live in Monaco. However, having a chance to explore one for half an hour it was a great opportunity for one of our colleagues. We will exchange that honorable experience with you. The one we met was a racing model featuring a W16 motor and we met it at a pit stop. The “casual” version features a 16.4 engine and has top glass roof that can be removed. With the roof on the vehicle reaches speed of more than 408 km/h (253 mph), while when the roof is removed it reaches speed of 369 km/h (229 mph) which makes the second fastest convertible in the world right behind the Grand Sport Vitesse that develops power of 1200 hp. 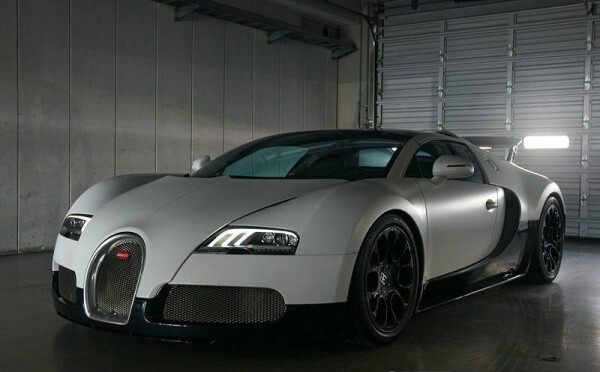 But, when you get to see the Veyron , when you see its enormous 20-inch wheels that have color that is perfectly becoming to the car, then you do not pay attention to the numbers. This vehicle has abundant wonderful and at the same time very useful elements such as the hydraulic actuators that have double function- they act as air brakes and they provide high speed stability; and such as the Bugatti grille that is absolutely indispensable. Let`s go back to the numbers a bit. 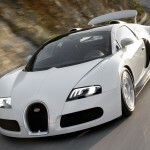 Besides the speed of 420 km/h, the Veyron W16 8-liter engine has ability to produce power of 1001ps (987hp). Isn`t that amazing? And the experience to drive in it on a racing track is unimaginable and irreplaceable. Even though it is said that the W16 engine is rather conventional, we must admit that it does not look that way when you take a look at the parts that can be seen from the outside. The owner has probably driven this car at this speed for the first time. Nevertheless, we liked it! We liked it a lot!